Some fourteen to ten thousand years ago, as ice-caps shrank and glaciers retreated, the first bands of hunter-gatherers began to colonize the continental extremity of South America--"the uttermost end of the earth." Their arrival marked the culmination of humankinds epic journey to people the globe. Now they are extinct. 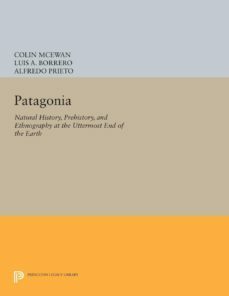 This book tells their story.The book describes how these intrepid nomads confronted a hostile climate every bit as forbidding as ice-age Europe as they penetrated and settled the wilds of Fuego-Patagonia. Much later, sixteenth-century European voyagers encountered their descendants: the Aünikenk (southern Tehuelche), Selknam (Ona), Yámana (Yahgan), and Kawashekar (Alacaluf), living, as the Europeans saw it, in a state of savagery. The first contacts led to tales of a race of giants and, ever since, Patagonia has exerted a special hold on the European imagination. Tragically, by the mid-twentieth century, the last remnants of the indigenous way of life had disappeared for ever. The essays in this volume trace a largely unwritten history of human adaptation, survival, and eventual extinction. Accompanied by 110 striking photographs, they are published to accompany a major exhibition on Fuego-Patagonia at the Museum of Mankind, London.The contributors are Gillian Beer, Luis Alberto Borrero, Anne Chapman, Chalmers M. Clapperton, Andrew P. Currant, Jean-Paul Duviols, Mateo Martinic B., Robert D. McCulloch, Colin McEwan, Francisco Mena L., Alfredo Prieto, Jorge Rabassa, and Michael Taussig.Originally published in 1998.The Princeton Legacy Library uses the latest print-on-demand technology to again make available previously out-of-print books from the distinguished backlist of Princeton University Press. These paperback editions preserve the original texts of these important books while presenting them in durable paperback editions. The goal of the Princeton Legacy Library is to vastly increase access to the rich scholarly heritage found in the thousands of books published by Princeton University Press since its founding in 1905.